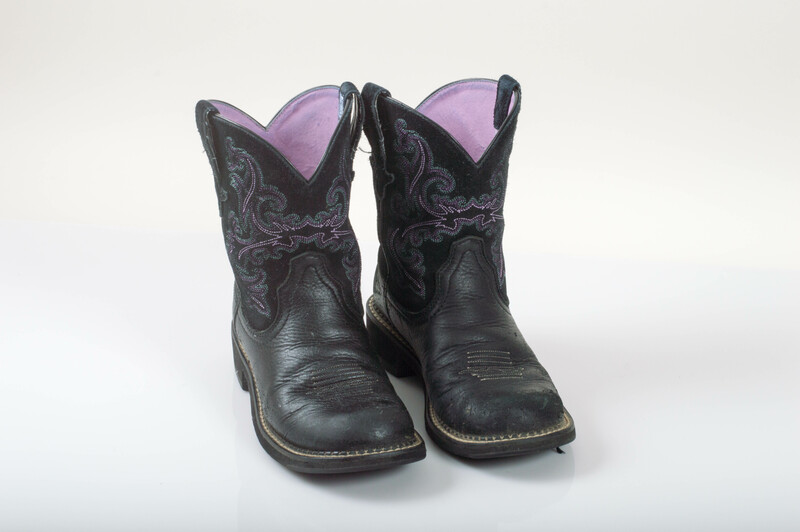 Leather boots are favored in our area for their durability and long life. They can handle sun, wind, rain and snow will little issue. Every morning, I put on my hefty pair of boots and make my way down to feed my goats and chickens their breakfast. Leather boots are really great if you take care of the leather. 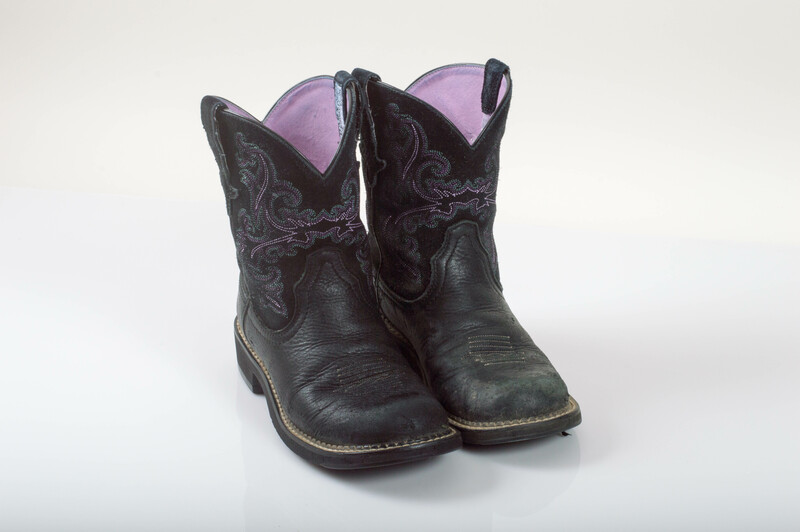 With it being so dry here, just a little neglect is all it takes for leather to become cracked, dry and stiff but with some time and a great conditioner, your boots can last so long that you need the soles replaced! I find it fascinating that a good cobbler can remake a pair of boots using the same leather or upper and simple attaching a new sole. I hope to do that with my boots one day but I have a long way to get there! 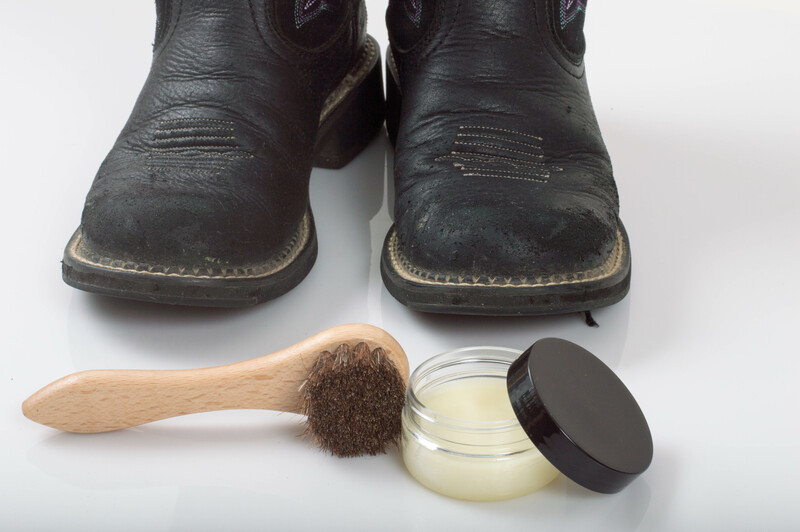 Today I wanted to make a simple boot polish that not only gives the leather beautiful shine but also it also easy to apply and takes care of the leather by conditioning it. Whew! That is a tall order. Are you ready? Let’s go make some leather polish! I love how easy it is to put this recipe together. I wishes cake mixes were this easy! Weigh all of the ingredients into a microwave safe container. Heat gently until everything is fully melted. Stir well. Pour into jars. Allow to cool, cap and label! Wow! How fast and simple was that? I do recommend putting this in a shallow jar. I used our 2 oz Low Profile jars but you can use any shallow jar with a wide mouth. It is amazing what a difference what a little polish can make! 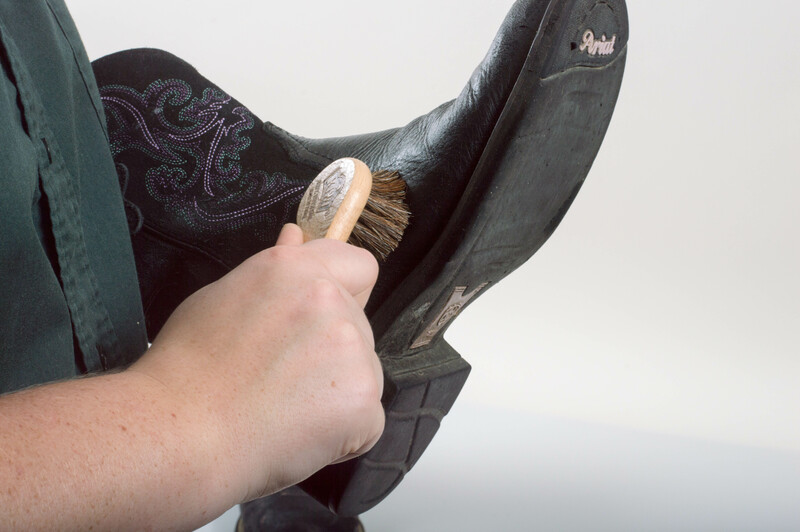 To use your leather polish and conditioner, start with clean leather. I like to take a slightly damp rag to clean the leather. Allow the leather to completely dry. We don’t want to trap any excess moisture in the leather. Take a clean, dry rag and apply the polish in a smooth, circular fashion. If you want the leather extra shiny, take a clean, damp rag and buff the leather to a high polish. Tada! Your leather is now conditioned, polished and beautiful! I think I laughed so hard at the biscuit idea that I lost my breath! Taylor rubbed the beeswax in and let me tell you, she rubbed HARD! I think a cordless drill with a polishing pad would do the trick. My hands can’t do that hard rubbing. After a dog ate the mink oil mixture for shoes (and it was found to have petroleum distillates in it and we had to go to the vet) I think using items I don’t mind the dog eating is a better idea. Worst case scenario is the dog eats too much beeswax and lubes the (eeh ummm) canal.